Get ready to ruff up the competition! We Rate Dogs, a viral Twitter account known for rating dogs on an oh-so-flexible 10-point scale, is releasing a new card game, and it looks like a h*cking good time. 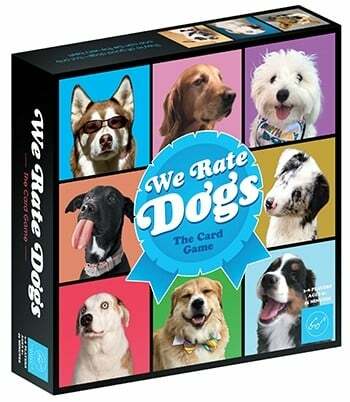 We Rate Dogs: The Card Game ($25) is a fast-paced card game for three to six people in which players can choose from nearly 50 puppers to enter a competitive dog show. Dogs will be graded based on seven characteristics: floof, sass, boopability, zoom, ears, wag, and overall goodness. Players can improve their dog's rating, ruff up the competition, or cause chaos. While only one dog will win best in show, make no mistake, they're all good dogs. You can preorder the game right now, and it will be available in stores May 14.